Things have gone from bad to worse for GMA. After enduring numerous issues concerning programs, artists, manpower, advertising and revenue, the Kapuso network’s next obstacle comes from its regional networks. Just last weekend, GMA closed its four regional offices in Cagayan de Oro, Bacolod, Naga and Ilocos, cancelled morning shows in Cebu and Davao, and laid off at least 100 employees. Furthermore, the network stated that they are “not closing down any regional station”, but rather they (except Cebu, Davao, Iloilo and Dagupan) will be continued as “satellite selling stations”, pending completion of the study and recommendation of the Regional TV Review Committee. The network also mentioned that the news programs in Cebu, Davao, Iloilo and Dagupan will remain and will be strengthened, despite the cancellation of other regional programs in the morning. And finally, GMA also promised to offer its affected personnel “severance packages”. This latest development definitely hurt GMA’s regional network group. Even though the network mentioned that no regional stations will be closed, it is clear that the lack of manpower and operations in the key cities will force GMA to use its Metro Manila relay feed, rendering them at a disadvantage against ABS-CBN’s RNGs. That said, with ABS-CBN’s regional stations in Bacolod, Cagayan de Oro, Naga and Ilocos still operating, viewers may find themselves watching more regional news on ABS-CBN than on GMA due to the latter station’s closure. It may also contradict their statement regarding strategic streamlining for increased ratings and revenues, further hurting the network’s overall budget. GMA’s loss of regional outlets will be severely felt throughout Timog Avenue and its remaining satellite offices. One must wonder when GMA will ever rebuild its regional network group after this debacle. Only time will tell. ← Is ‘Medyo Late Night’ Returning to TV5? Deeply saddened on that news that spread throughout various news sites. Some of the retrenched employees (with regular status) was served the regional network for many years now. Kahit dinudumog ng mga tao ang mga provincial shows ng GMA, may problema naman. Sayang naman at wala naman mapanood na mga programa nakakapulot ng kaligayahan at kasiyahan? ANG TANONG NA LANG, THIS COULD BE A SIGN FOR FURTHER DETERIORATION FOR GMA? We’ll see. As it stands, TV Patrol regionals na lang ang pinaka-main outlet sa mga apektado ng pagsara ng mga GMA regional offices. Everything’s going ABS-CBN RNG’s way now. Aksyon Bisaya and Aksyon Dabaw will also give increased pound of ratings after that incident. Kawawa ang mga regional 24 Oras. At this point, ABS and TV5 should take advantage of GMA’s problematic regional situation, but as it stands, ang ABS lang ang pinaka-capable. Hindi pa gaanong ramdam ang TV5 sa mga regions, pero they’re working on it. In short, madami ang nawala sa mga GMA regional networks. Such a shame. Una, mula sa Fallen 52 employees; ngayon, dinagdag pa ang pasanin. Come to think of it, if ramones sees this, he’s getting disappointed and angry to hear the internal affairs of the credible news organization. But my Turfitorial is clear, Gozon and his pals are not into money. True that. It’s becoming a downgrade for GMA. Now with the regional network problems, it only gets worse. kawawa naman mga employee nila. sayang i prefer to watch 24 oras Davao pa naman. mahina talaga sa regional ang GMA kasi dito sa Davao halos lahat ABS talaga at saka during Sat-Sun may morning show, variety show and travel-food show ang regional ch ng ABS. I already saw it, and indeed, it’s disturbing. Halatang un-Kapuso-like yung ginawa ng GMA. So heartless and discouraging from a network who hides from the truth. Mahina na talaga ang GMA Regional TV kahit pinagmamayabang pa ng GMA na #1 sila. I hope that these terminated workers would find work elsewhere, particularly sa ABS-CBN RNG. Dahil diyan, GMA Regional TV is no longer a serious threat against ABS-CBN Regional Network Group at CCTN na lang ang formidable competitor ng ABS sa Cebu. Yung mga bilyones daw nilang kinikita, parang napupunta sa wala. Halatang puro bad investments na lang ang nangyayari sa GMA. true, puro kasi sila yabang. Mukhang nalulugi na ang GMA. halatang-halata talaga na lugi na ang GMA 7. that’s the negative effect of their pagmamayabang, lalong-lalo na sa ratings. True that. Hanggang ngayon in denial pa rin sila. Halata nga, eh. Yun nga lang, ayaw maniwala ng taga-NUPJ na nalulugi ang GMA. True that. Pero in denial pa rin sila, kaya tuloy-tuloy ang pag-ere nila ng mga programa na hindi nakakatulong sa kanila. Yun nga lang, ayaw maniwala ang mga taga-NUPJ tungkol dito. True that. Pero at least may konting justice ang sinasabi nila regarding GMA’s mass exodus of employees and closure of regional offices despite earnings of P1 billion. Tinatakpan lang talaga ang mga evidence kung baga. Tsk3. Mukhang mas maunlad pa ang Brigada regional group than GMA’s, ha? Pero this network is always acting in denial lalo na sa mga ganitong corporate issues, napansin ko lang. Eh kitang-kita naman na tag-lugi na sila. Anyare sa 30% ni Don Ramon Ang sa GMA? 1 year ago na pero hindi pa rin ramdam. But his company’s presence always felt sa Ch. 9. I don’t trust GMA anymore as a major network. I have to put them at the minor category kapag ganyan. Since CNN PH and Kapatid networks are in need of regional correspondents, they should make an impressive offers para sa mga na-retrench na media people. It’s obvious na wala pa ring progress ang discussions between RSA and GMA, kaya tuloy ang mga malulungkot nilang araw. And yes, CNNPH and TV5 should give these retrenched ex-GMA employees a new opportunity. They can at least give them something to keep their flow of operations in order. negative effects of pagmamayabang sa GMA. sayang na. it seems na ang tanging formidable competitors ng ABS is CCTN sa Cebu, CLTV sa Pampanga, GBPI sa Zamboanga, PBN sa Naga at Brigada News TV sa Gensan. speaking of Brigada, sige pa rin sila expand, unlike sa #1 kuno na TV network na lugi na pala. Sa Luzon lang sila kuno ang No. 1. Kung buong Pilipinas ang inaangkin nila, dapat sana’y No. 1 rin sila sa Visayas at Mindanao. Kaso hindi. Poor GMA, hanggang Luzon lang sila. In any event, it’s clear na GMA’s slipping away in the regions, because of the presence of smaller regional networks. Speaking of GMA’s regional stations, GMA-7 Cebu (DYSS-TV) once had a Visayan newscast called “Mga Balita sa Kilum-kilum.” I don’t know who anchored that newscast, because I wasn’t born at that time. “Mga Balita sa Kilum-kilum” ran probably from 1982 to 1985, based on what I saw in the Monday-Friday Cebu TV guides of Sun.Star Cebu. I guess “24 Oras Central Visayas” is the only program originating from GMA Cebu which rates well in their TV station, although second to TV Patrol Central Visayas of the rival station in the list of top-rating Cebuano newscasts most viewed. Unfortunately, Atty. Rose Versoza, Bobby Nalzaro’s companion, is no longer in the newscast. Is she also a part of the retrenched staff, or her contract is decisively not renewed? Anyway, it’s interesting to know that Jun Veliganio, GMA Cebu’s former chief reporter, is now with DYRC, along with former ABS-CBN Cebu talent Dante Luzon. I guess DYRC is giving Cebuano news personalities, young or veteran, a second lease in life in their careers. It’s good that they found new jobs after GMA dismissed them. Pity that network for their unapologetic deeds. GMA sure needs their regional programs back after that retrenchment. More people now tune in to ABS just for the need of regional news, and GMA is suffering as a result. That retrenchment thing really snuffed the life out of them. Surely, the damage has now been done to GMA Regional TV. And if Bobby Nalzaro might leave GMA Cebu and DYSS, that’s gonna be a big loss to the network, considering how Super Bob has been loyal to GMA for 16 years already. For now, he’s still there. In the timeline of Buena Mano Balita (BMB)’s Facebook page, many disgruntled viewers of the said morning show were posting there asking why there’s no more BMB. I think they got misinformed with what had happened. For now, I tune in to Maayong Buntag, Kapamilya of ABS-CBN Cebu or Hello Cebu, Maayong Buntag Pinoy of CCTN just to start my day. ABS has taken over the regional broadcast universe with GMA’s retrenchment. So get used to it. Now they seem to be in shambles as well. Their loss is definitely a blow to regional radio in the country. So, let’s conclude and get used to the fact that ABS-CBN and MBC is strong in regional TV and radio, respectively. MBC may not be a multimedia conglomerate that ABS-CBN is, but nevertheless, MBC is regarded as “one of Asia’s largest radio-only conglomerates,” due to the fact that they own a lot of radio networks, starting from DZRH to Aksyon Radyo, Radyo Natin to Love Radio, and Yes! FM to Easy Rock. Back to the main topic of this article, despite the losses, it seems that GMA Cebu is still placing billboards in a building (which currently houses a department store) in Colon St. cor. Osmeña Blvd., Cebu City, promoting their shows. But I know I don’t feel it anymore, and I’ve been already used to ABS-CBN’s dominance in primetime and Cebuano TV, ever since 2002 (the first time I was able to watch TV since birth 2 years before that). And without these regional outlets, GMA couldn’t even win outside of Luzon, despite their claims as the so-called No. 1 TV station in the country (according to AGB Nielsen). Too bad. Paano na nila iju-justify ang pagiging No. 1 kuno nila sa ratings sa buong Pilipinas kung ganito naman pala ang ginagawa nila? Mukhang TV Patrol Panay na lang ang only option ng mga Ilonggo pagdating sa local news, aside sa radio stations. GMA Iloilo is now added to the long list of GMA stations na nagsara. What’s next? Dagupan? Cebu? Davao? GMA’s RNGs are in the red right now. Parang imbalanced na ang regional networks sa bansa with these moves. Mukhang magsisi si Atty. Jobert Peñaflorida sa kanyang desisiyon na lisanin ang ABS-CBN Iloilo two years ago. Indeed. Kung hindi lang niya na-realize na malala ang sitwasyon ng GMA RNG, nanatili siya sana sa ABS Iloilo. Either way, he’s joining a station in disarray. It may only be a short-term stint since GMA regionals just keep on fading. 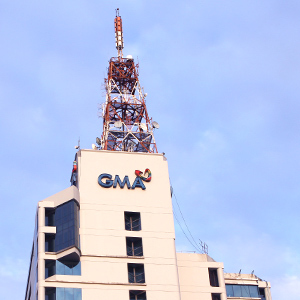 The next thing you may know, GMA might be reduced into an all-Nationwide Satellite Broadcast Network (with its entire Manila station programming beamed throughout the country) with its regional department in big limbo. Even the programming of Barangay LS 97.1 Manila is now being aired nationwide (via its regional FM stations) as well. Wala na ang GMA ngayon. I highly doubt na maisasalba pa ng AlDub ang GMA. TAPE ang nakikinabang sa AlDub fever, hindi ang GMA. Baka sa susunod, magfile na yan ng bankruptcy dahil sa sunud-sunod na isyu gaya ng streamlining.